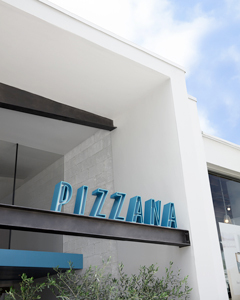 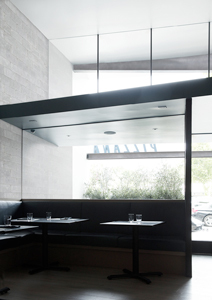 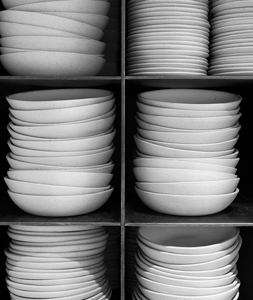 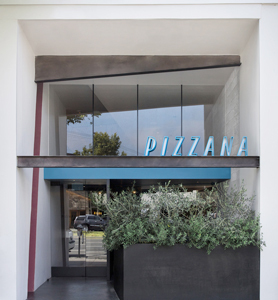 As architect and creative agency for Pizzana, a l m continues a decade-long collaboration with Sprinkles Cupcakes founders Candace and Charles Nelson, whose instinct for repositioning the classics in a contemporary context is paralleled by Uditi’s mastery of the craft and appetite for experimentation. 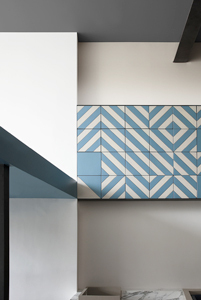 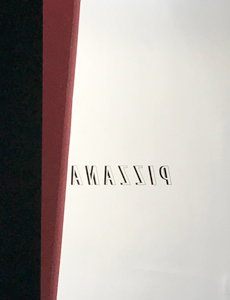 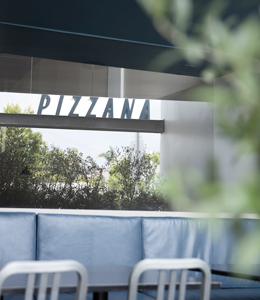 Marrying pizza and Napoli in a single word – PIZZANA – a l m created an identity that builds on the concept of transposition, bringing it into relief through the device of forced perspective. 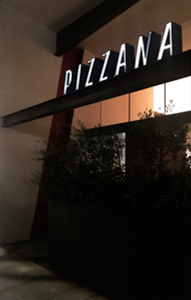 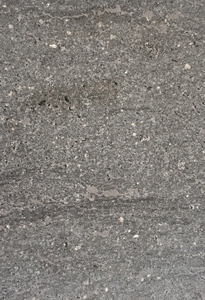 A trace of the logo becomes the sign of Pizzana, present in every element from logo to menu, apparel, website, and beyond. 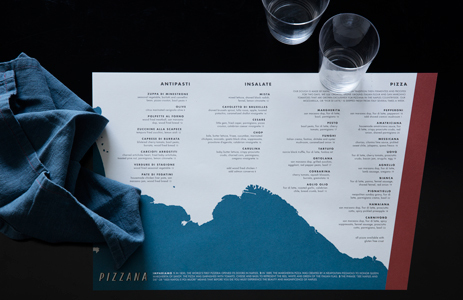 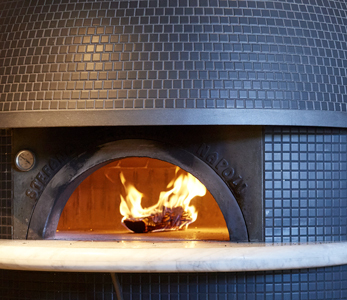 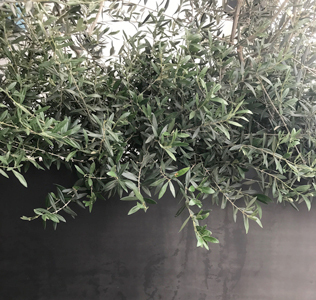 The material palette, anchored in a reflection on the deep blue hues of Naples, the ashen greys of long Mediterranean shadows, and the splashy burnt reds so emblematic of Neapolitan pizza, brings authenticity and substance that create a distinct sense of place and comfort. 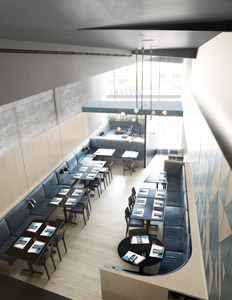 Basaltino terrazzo and blackened steel framed by a light shelf echoing the blues of sea and sky establish arrival, while in the tradition of the frescoed wall a site-specific tableau by Mark Hagen frames the dining room spanning the east wall, running across the pizza bar, counter-balanced by wood paneling over the deep blue banquette that reaches out to patio dining space.